Email marketing is as relevant to your marketing now as it has ever been. It can have a strong impact on your customer loyalty, sales conversions, and even brand reputation. It takes more than landing in your customer’s inbox to be successful at email marketing. Your customers are bombarded with email — about 269 billion emails are sent each day around the world — and much of it will go unread. To ensure your emails are delivered, opened, and clicked on, take these five steps to optimize your email marketing. Don’t send emails that read as if they are coming off an assembly line. Whether you are reaching out to potential customers or loyal patrons, having a personal touch for every type of email campaign is important to keep readers engaged. Start by personalizing your sender address. Sending emails to potential clients from an “info@” or “support@” address may come off as impersonal. Lack of personalization can leave your customer or prospect feeling like you aren’t really interested in building a relationship. Provide an email address from an actual person from the start to let readers know that you understand the importance of communicating with a real individual. Email platforms like Constant Contact, MailChimp, FishBowl, and Robly can help you personalize your emails even further. By integrating with your CRM, these platforms can create insert customer data like first and last names, product interest, birthdays, directly into your email body copy. Automated personalization allows you to create hundreds of personalized emails all with a few clicks of a mouse. Coming off as too sales-y or ‘spammy’ in your emails is counterintuitive to your email marketing goals. Obviously, you want to make sales from email marketing. However, there are ways to make sales from potential customers without sounding pushy in your email campaigns. Jumping right to the sale can also affect the deliverability of your email. Did you know that using all caps in the subject line is a sure-fire way to have your email sent straight to a person’s junk mail? Having neat and polished subject lines is a great start to keeping your email campaigns from being labeled as spam. No matter the type of email campaign you run, every email should have something of always value for the recipients. This doesn’t have to be a promotion or a product necessarily. Again, don’t always go straight for the sale. A restaurant with an email campaign for first-time guests might include a link to its online menu to encourage future patrons to peruse every delicious dish available. A clothing retail store could send regular updates on new trends and hot styles throughout the year. Adding valuable content to your email marketing can help identify the type of individuals that you want to market towards. Analyze email metrics to determine who your ideal audience — or buyer persona — really is. Email data can inform your content marketing, too. Which types of content in your emails have the most interactions, and where are the gaps in the buyer’s journey that new content, or new emails, might fill? Knowing who is most engaged with your email marketing will help you hone in on your sales tactics and ultimately convert more readers into paying customers. There is a saying that goes, “If I had more time, I would have written a shorter letter.” When constructing email campaigns, take the time to craft a short, succinct email that states the value proposition in the first paragraph. A study by Microsoft found that people can lose concentration after eight seconds. With that short of a time frame, you can’t afford to bury the lead in your email campaigns. If your next email campaign is part of a new product launch, don’t wait until the third paragraph to reveal it. Make the introduction in the first few sentences, then show them why it is valuable to them. No matter the topic, keep emails short and readers are more likely to read the entire message. Remember that every CTA needs to align with the topic and theme of the email. A CTA can be as simple as ‘Learn More’ on an informative piece or as direct as ‘Purchase Now’ on a new product release. Either way, make sure that your CTA matches the tone of your email marketing. 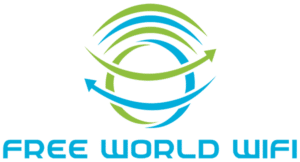 Whether you’re already using email marketing as part your business strategies or are looking to start, Free World WiFi is here to help. With the help of our Smart WiFi Solutions, you can start collecting verified email addresses from your WiFi guests to increase your email listings and reach out to a larger audience. Contact us today for more information on how to maximize revenues from your email marketing strategies.